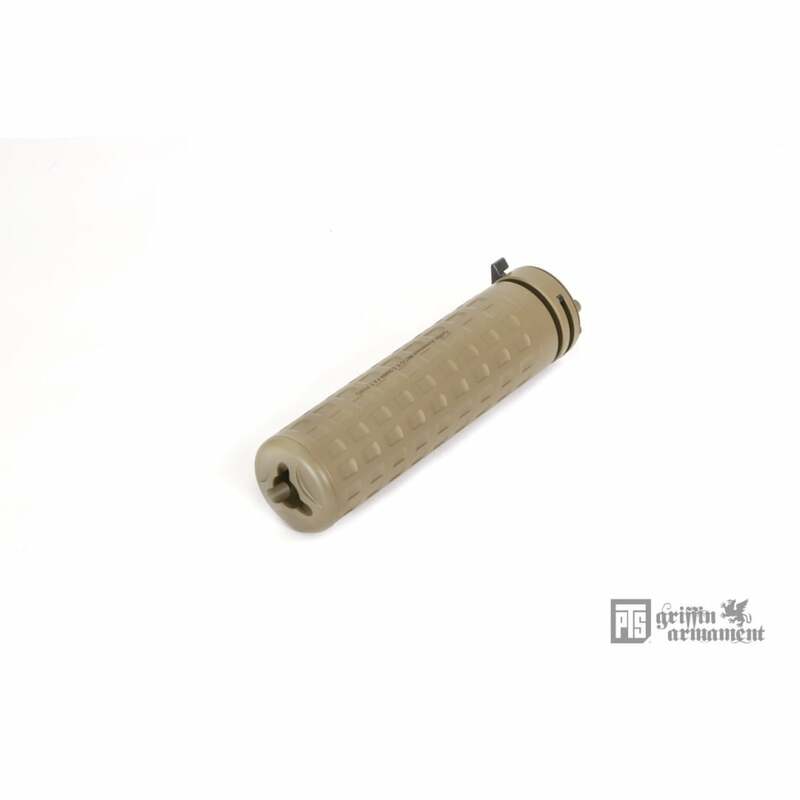 The second generation version of the PTS Griffin Armament M4SD-K Mock Suppressor encompasses the latest Griffin Armament suppressor design. The special machined fluted surface design reduces weight while increasing body strength. On the real suppressor, the increased surface area aids heat dissipation for greater longevity and durability during sustained use. The 5.75 inch long M4SD-K's ultra-compact size aids in maneuverability and minimally affects the weight balance of the gun. It also features Griffin Armament’s trademark SDQD mounting interface, well-known as one of the fastest and most secure mounting interfaces on the suppressor market. • Enhanced strength to weight ratio from fluted surface. 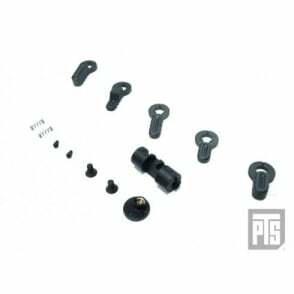 • Compatibility – Tokyo Marui spec Airsoft A2 Flash Hider, PTS Griffin Armament M4SD & M4SDII Muzzle Devices.